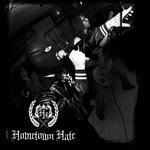 Hometown Hate has posted new song off the upcoming album. The band is working on a new full length, but not much info is available right now. Just stay tuned!